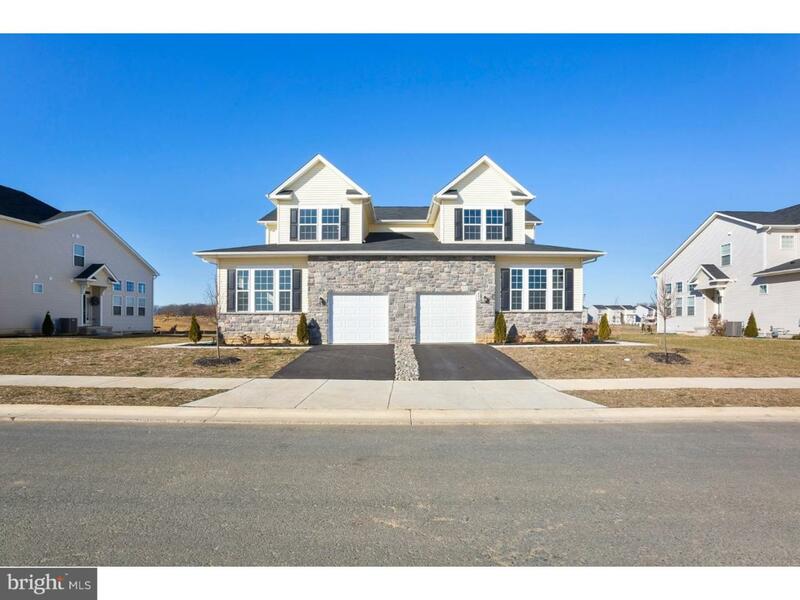 Lovely Chesterfield Design that is brand new and ready for September 2019.This two story twin home offers a unique design with a desirable first floor owner's suite with spacious bath and walk in closet. This home also includes a loft on 2nd floor and 3 additional bedrooms. The kitchen is nicely appointed with 42 inch cabinetry, santa cecelia light granite, stainless steel appliances, recessed lighting and 2 pre-wires for future pendant lights over the large kitchen island. Just off the kitchen you'll find the large gathering room and dining area, and the powder room is located conveniently nearby. The Hyett's Crossing community is home to over 70 acres of open space and this homesite backs up to open space . For a tour of this home please visit our Welcome Home Center which is open daily from 10am-6pm but appointments are highly encouraged. Pictures are of a Chesterfield design, just not this actual home and are for representation purposes.